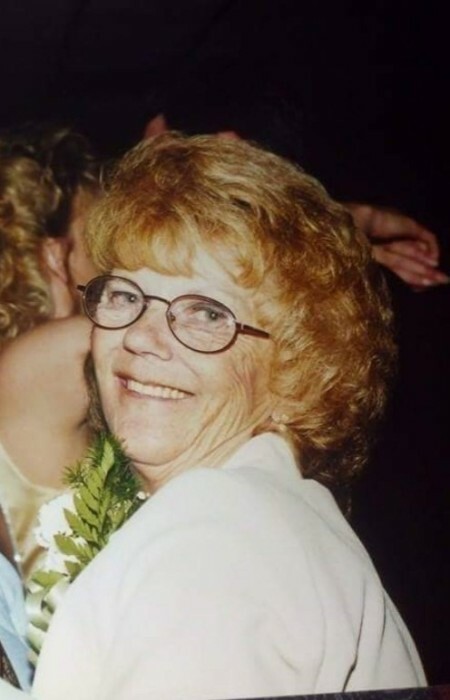 Nancy Jo (Pfaff) Lowers, 72, of Worthington, died on Monday April 8, 2019 at Good Samaritan Hospice in Cabot, PA. She was born February 14, 1947 in Tarentum, Pa to the late Frank & Kathryn Pfaff. Nancy was a lifelong resident of Worthington. She was retired from a career in healthcare. She was of the Lutheran faith. She was a member of the Kittanning Elks. Nancy enjoyed her and Walt’s short trips, going to Wheeling Downs for the dog races, going to Emerald Isle, and spending time with her grandchildren. Nancy leaves behind to cherish her memory her daughters, Tina (Dean) Fedorek, of Chicora, Teri Lowers, of Worthington, and Samantha (David) Wonderling, of Kittanning; a sister, Jackie Carter, of Georgia; 14 grandchildren; 6 great-granchildren; brothers-in-law, Larry Booher (Janet Dunbar), and Mike (Juanita) Booher; sister-in-law, Marlene “Squirt” Lowers; and several nieces and nephews. In addition to her parents, she was preceded in death by her husband, Walter E. Mechling Jr.; sisters, Karen Pfaff and Peggy Fauset; brother, Donald L. Pfaff; son, Walter E. Mechling III; and 1st husband, Samuel James Lowers. Friends will be received from 2-4 p.m. and 7-9 p.m. on Wednesday, April 10, 2019 at the Snyder-Crissman Funeral Home, 200 S. McKean St., Kittanning. Funeral services will be held at 11 a.m. on Thursday, April 11, 2019 at the funeral home, with an additional hour of visitation prior to the service. Interment will be in Lawn Haven Burial Estates.